The aim of this study was to investigate how odor stimulation affects taste perception. Electroencephalogram (EEG) signals were measured from the frontal region of the head in normal, healthy subjects, and frequency analyses were performed. Each odor stimulation was delivered while the subject was tasting chocolate, using chocolate paste as the odorant for ‘matched odor stimulation,’ and garlic paste for ‘unmatched odor stimulation.’ Differences in EEG signals appeared between the matched and unmatched arms of the study. 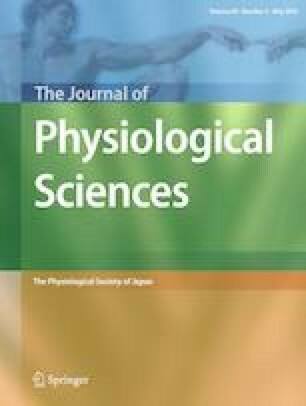 Comparison of the frequencies of EEGs captured under the condition of unmatched odor stimulation with those captured under the condition of matched odor stimulation showed that the occupancy rate of the theta-frequency band under the condition of unmatched odor stimulation was higher than that under the condition of matched odor stimulation. Interestingly, a negative correlation existed between the occupancy rate of the theta-frequency band and the subjective feeling of chocolate sweetness. The present findings suggest that when humans receive odors that do not match with the foods being consumed, subjective feelings are disturbed and theta-band brain activity is increased while the unmatched information is cross-checked. We wish to thank Dr. T. Akamatsu, T. Hasegawa, C. Yao, H. Y. Miyachi; Kanayama for experimental assistance. This study was partially supported by grants from the Ministry of Education, Culture, Sports, Science and Technology of Japan (Grant-in-Aid for Scientific Research C 22590966), and was partially supported by the Research Clusters Program of Tokushima University. HY contributed to the experimental design of the research, and drafted the manuscript. SM and HY performed experiments, and analyzed and interpreted the data.